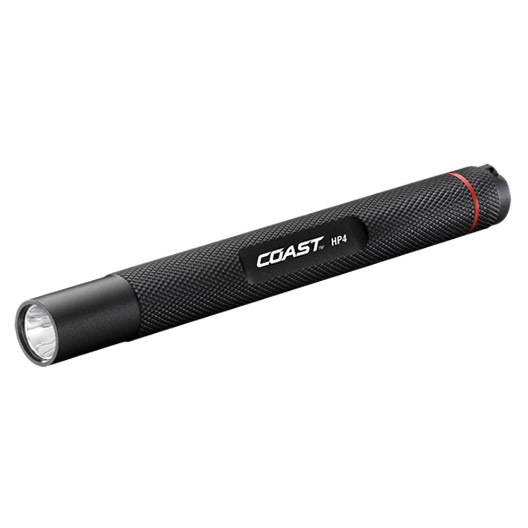 The Coast HP4 High Performance LED Flashlight has a light output of 95 lumens and is specifically designed to brighten confined spaces. Its slim size and included pocket clip make it great for use by technicians or as a general inspection light. Built tough, an impact-resistant, lightweight aluminum casing resists rust and corrosion. The HP4 also features an unbreakable LED and rubberized O-ring for reliable water resistance and durability. Backed by Coast's lifetime warranty against defects in materials and workmanship.